A host of animals, including ring-tailed lemurs and turkey vultures, were moved to higher ground Monday at the Happy Hollow Park and Zoo in San Jose due to rising flood waters. Happy Hollow employees said that, out of an abundance of caution, they moved a total of eight animals from lower zones of the park threatened by the rising Coyote Creek. The park did flood back in 1997, but employees were not concerned that the swollen Coyote Creek would create a repeat occurrence this time around. 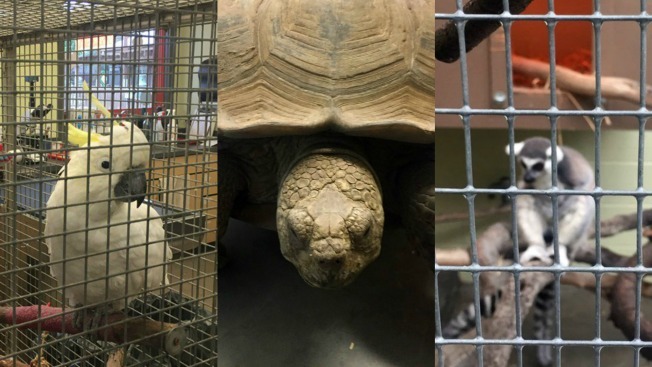 The relocated animals, which also included a tortoise and a cockatoo, were doing well after being moved to their temporary homes inside of the park.